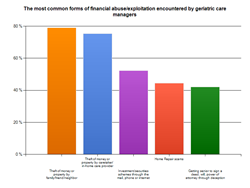 New survey of geriatric care managers finds that financial abuse and exploitation of older Americans is increasing. Most common form of financial elder abuse encountered is theft by family, friends, neighbors and caregivers. Financial abuse of seniors is a growing problem. Families with older relatives need to know the warning signs of this all too common and often hidden form of elder abuse. - NAPGCM President, Emily Saltz. Financial abuse and exploitation of older Americans is on the rise, according to a new survey released today by the National Association of Professional Geriatric Care Managers (NAPGCM). The survey, which also identified theft of money by family, friends, neighbors and caregivers as the most common types of abuse, comes on the heels of President Obama’s call last week for a new $25 million initiative to combat elder abuse as part of his budget. “Financial abuse of seniors is a growing problem. Families with older parents need to know the warning signs of this all too common and often hidden form of elder abuse,” said NAPGCM President, Emily Saltz. “Our survey shows that close oversight of vulnerable adults by family members or qualified professionals is crucial,” added Ms. Saltz. Financial abuse of the elderly carries a major and direct cost to taxpayers as almost 1 in 10 financial abuse victims will turn to Medicaid as a direct result of their own monies being stolen from them. And President Obama’s budget plan released last week contains a new $25 million effort to reduce elder abuse, neglect and financial exploitation. The initiative would fund grants to States to pilot a new abuse reporting system and improved research to understand and prevent elder abuse. 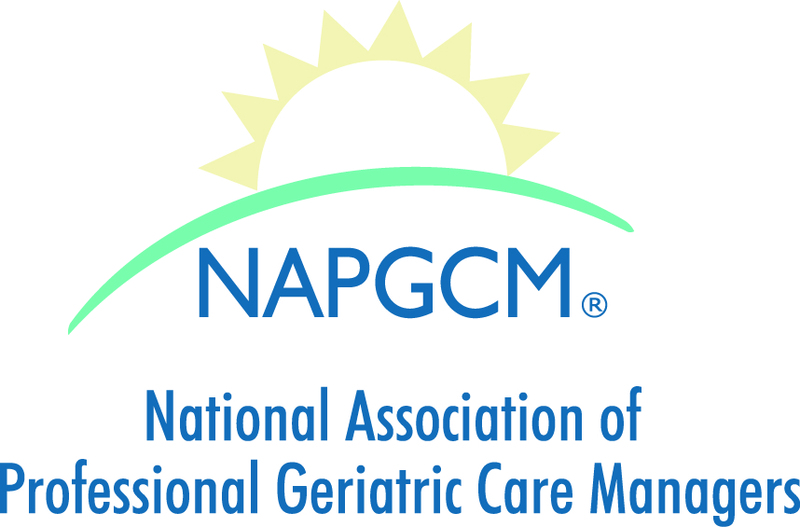 The National Association of Professional Geriatric Care Managers (NAPGCM) was formed in 1985 to advance dignified care for older adults and their families. Geriatric Care Managers are professionals who have extensive training and experience working with older people, people with disabilities and families who need assistance with caregiving issues. They assist older adults who wish to remain in their homes, or can help families in the search for a suitable nursing home placement or extended care if the need occurs. The practice of geriatric care management and the role of care providers have captured a national spotlight, as generations of Baby Boomers age in the United States and abroad. For more information please visit http://www.caremanager.org. You can also find a listing of professional geriatric care managers in your community at the NAPGCM website: http://www.caremanager.org and click on “Find a Care Manager”.